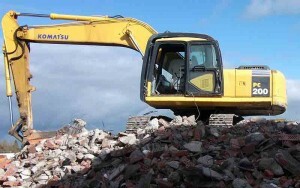 Hastings Demolition has a variety of machinery with experienced operators available for hire. 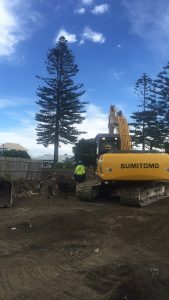 All of our machinery (excavators and skidsteer) are fitted with operator protection structures and have an assortment of demolition accessories: Breakers, buckets, pulverisers, and steel shears. We also have Bobcat fitted with a concrete breaker and a 21 ton loader. For elevated work we have an assortment of scaffolding and a 8m rough terrain scissor lift. Please call Graeme on 027 4783 360 to find out more.